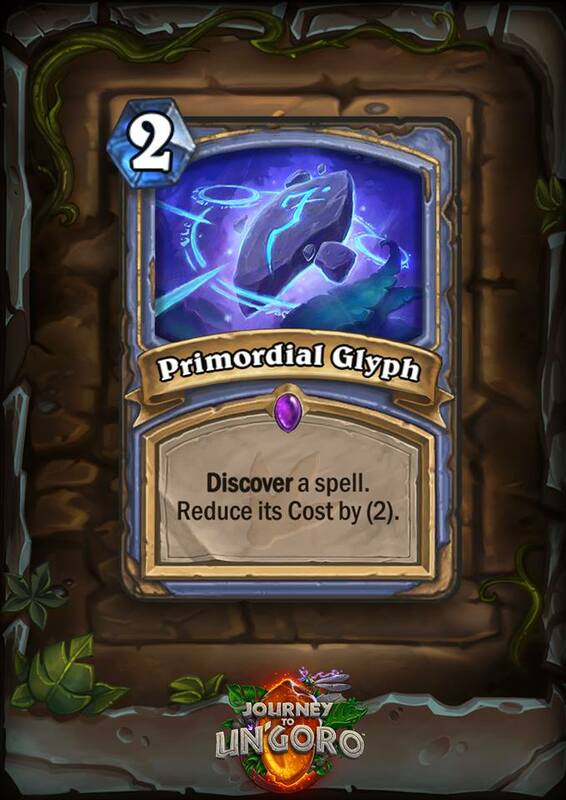 In this review I’ll be covering the updated game mechanics, the new and exciting deck types incoming, notable cards, cards that are leaving, and the effect all of this will have on the meta and competitive scene as a whole. Let’s go to the land where monsters live. 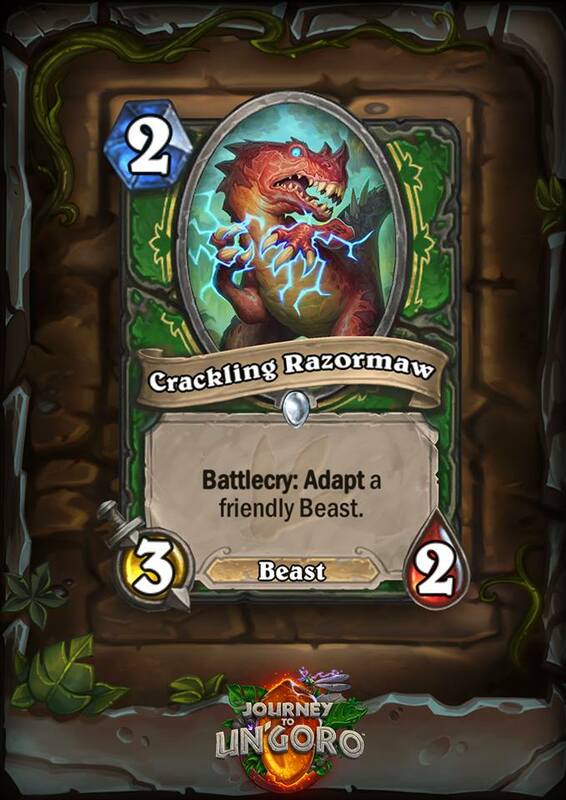 Adapt – Works like discover, buff a minion from a trio of choices. 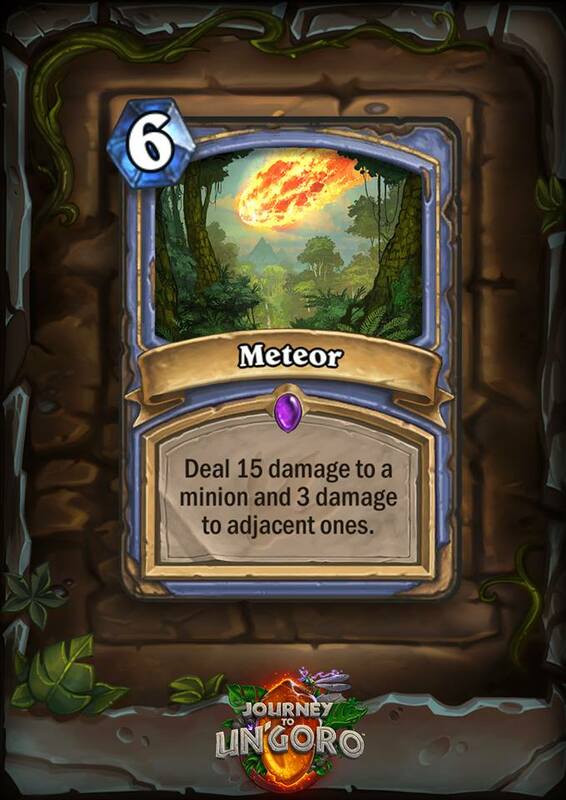 Elemental – Additional synergies abound, also, some older minions will receive this tag retroactively. Quests – Complete the in-match task and receive a powerful reward! This deck uniquely builds something like a dozen 1-cost minions and attempts to overwhelm the opponent with pure numbers, which conveniently, earns the quest reward and subsequently the win condition. The strengths and weaknesses are fairly obvious, but still difficult to play up against if you’re not prepared to handle it. Effectively you’ll know quite early on in the match if you’re going to win or lose, and as an added bonus, this style of play is as powerful as ever since Reno Jackson rotated out. 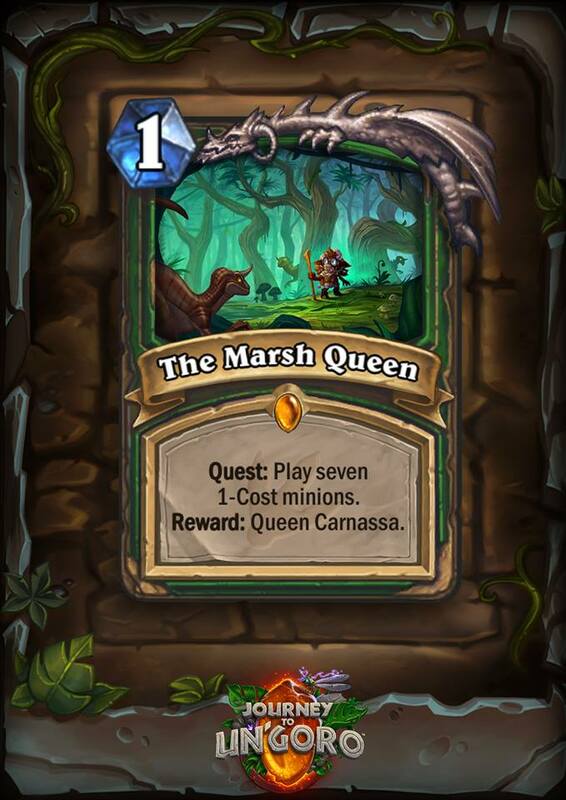 Pre-launch I was certainly a bit terrified that Quest Hunter would conquer the meta, however with some dedicated play I can definitely say that’s not even remotely the case. Despite the huge power spikes in the early game and mid~late game, it’s too slow to compete with hyper aggro like Pirate Warrior, but at the same time can’t overcome the likes of control. 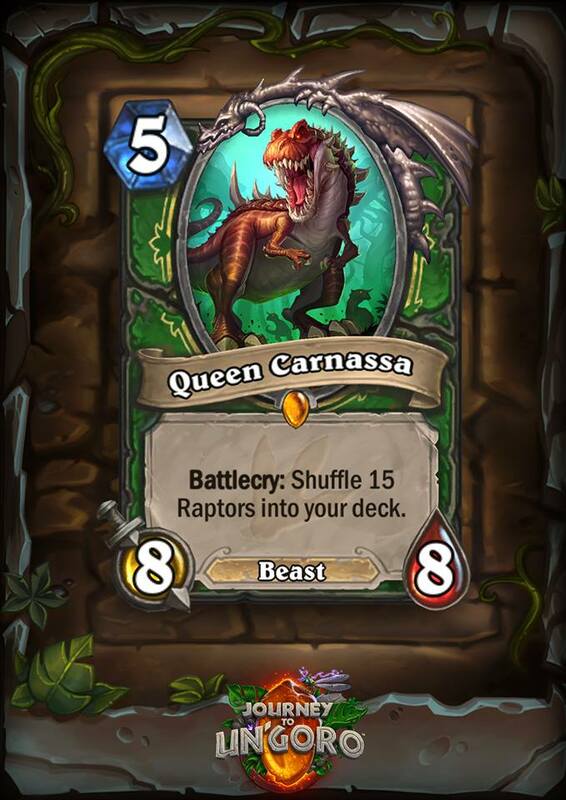 As neat as Quest Hunter is, it’s simply not unfair enough to go toe to toe with what’s currently strong. 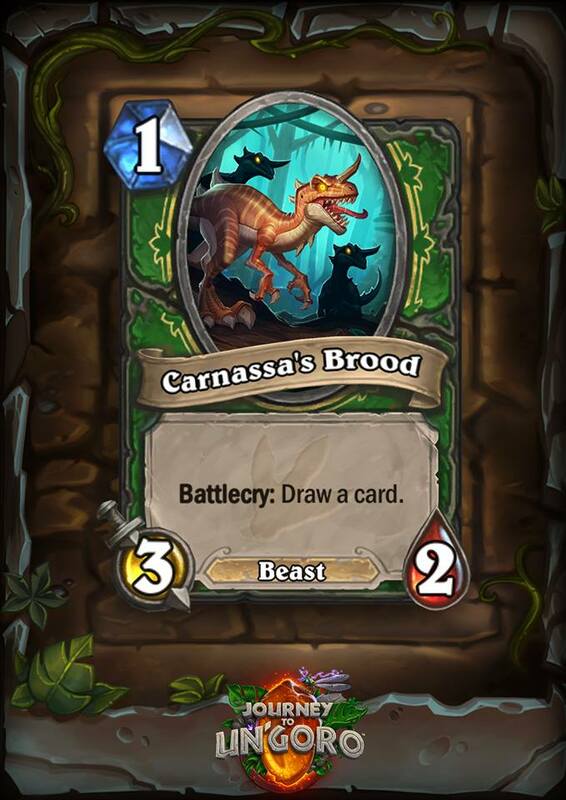 However, I believe the deck will evolve over time from aggro to more mid range with the help of Dinomancy (change your hero power to give a friendly beast +2/+2). 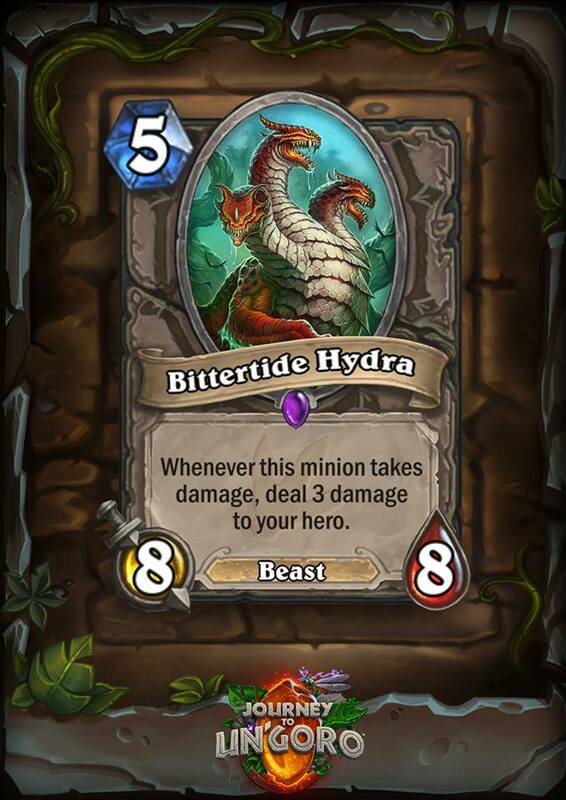 While it won’t be all that strong either, at least Hunter will have something to play with. At most I see it being a begrudging addition in a conquest tournament. 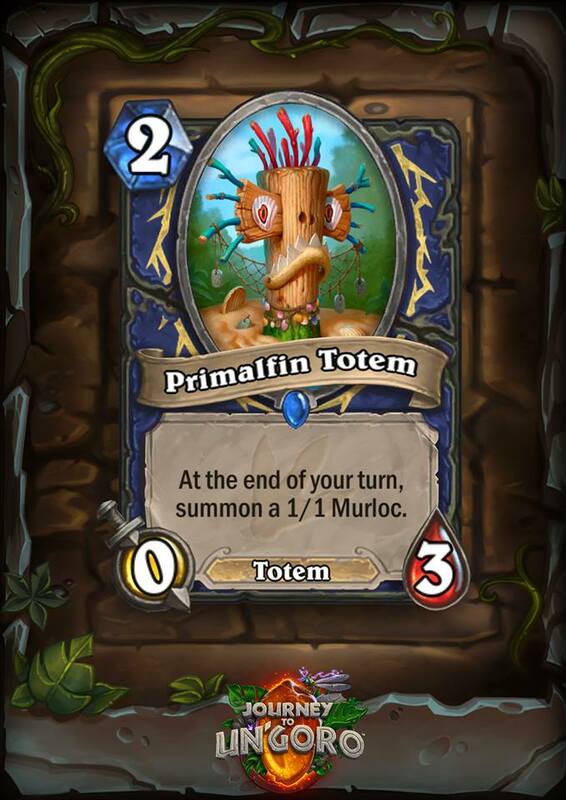 Due to Murloc Totem and Megafin, Murloc Shaman has a decent chance of competing even with the likes of the currently dominating Jade Shaman. 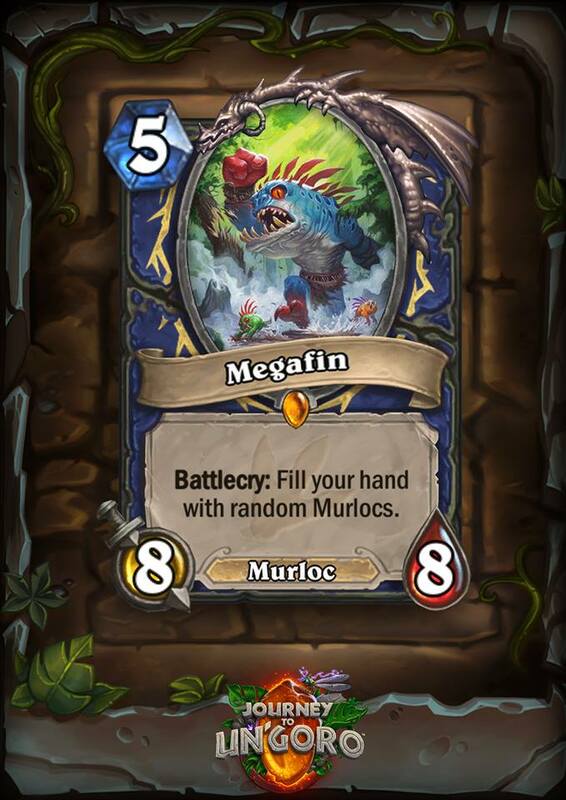 Actually, I would’ve been pretty confident in it’s ability to be better, however, the inconsistency in pulls from Megafin can be game losing as it’s entirely random. 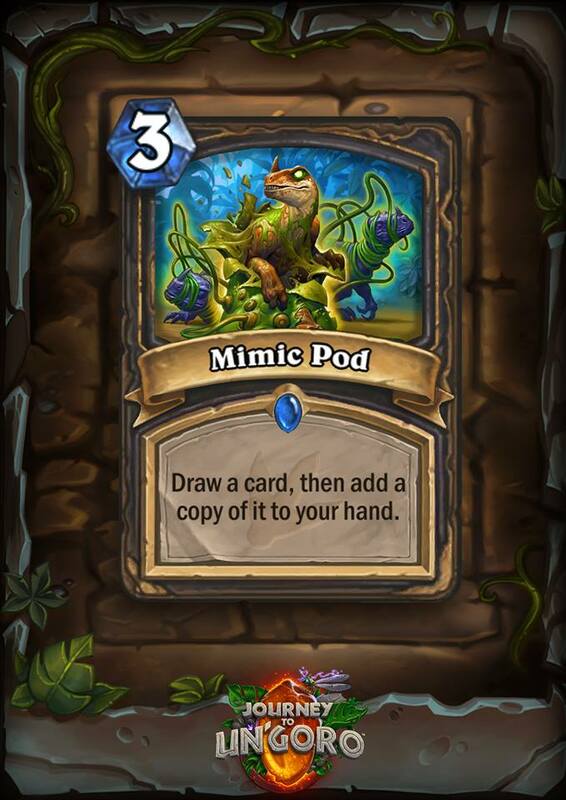 Also, it can be difficult to get that vital Murloc synergy since your opponent will be clearing them as fast as you play them. 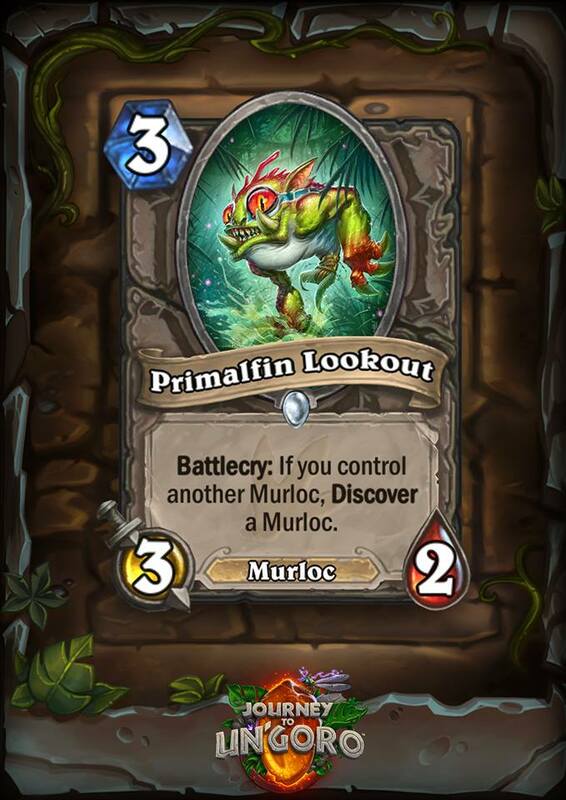 Still, it’s loads of fun to pull off huge combos with the classically underpowered Murloc tribe. 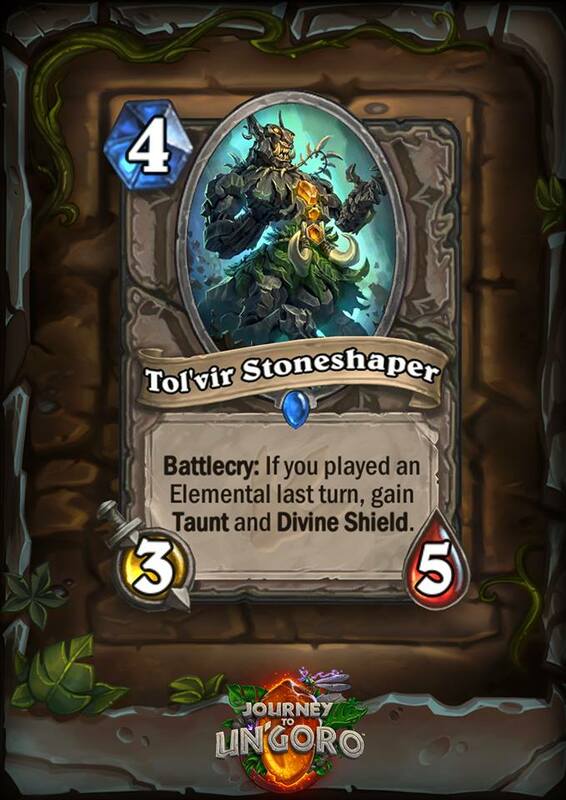 Not mentioned, but still possibly a big player is Elemental Shaman. As of right now it’s uncertain whether or not it’ll be a thing, but it seems perfectly competent. 1. 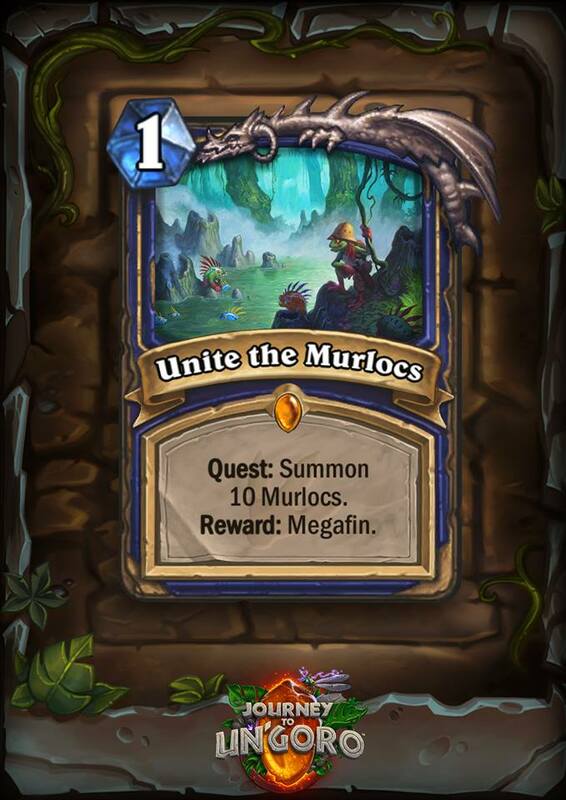 I don’t believe most people understood that the quest would give even existing minions on the board the buff, in other words, it was previously thought to be too slow, but effectively giving each minion on the board an immediate +4/+4 is pretty ridiculous. 2nd. 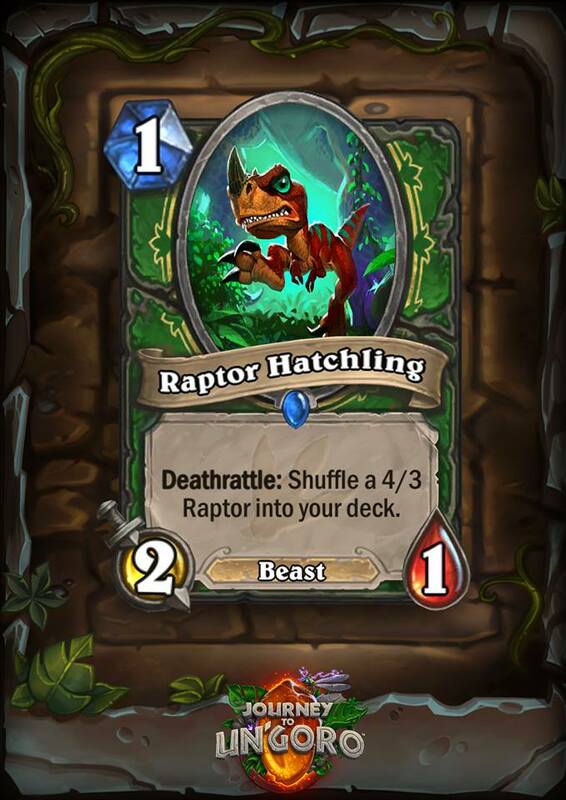 I think certain cards that make this deck shine were simply ignored or completely forgotten about(after all, only 2 cards from Un’Goro make it into the deck, everything else is from previous expansions). 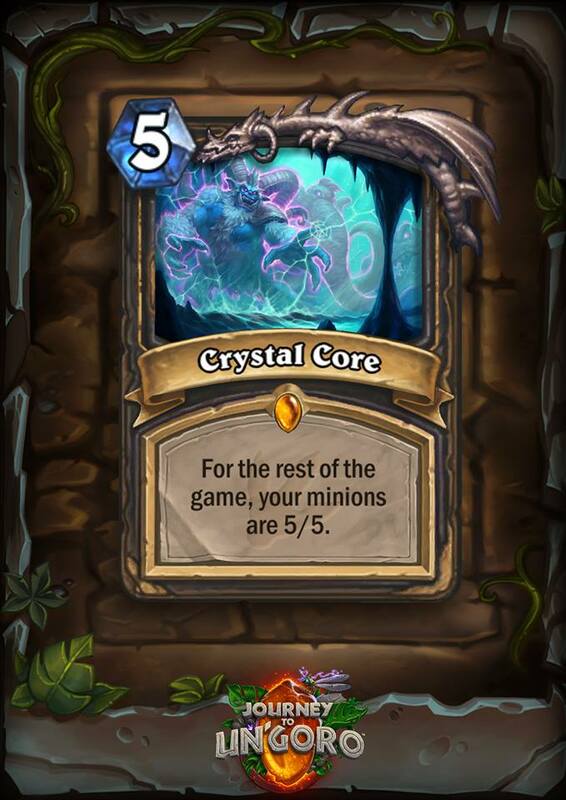 Point is, having a 5 separate 1 cost 5/5 charge minions in addition to numerous ways to bounce those back makes for painfully fast, unpredictable, and unstoppable wins. Although there are some major problems that will no doubt be widely known of quite soon. Most importantly, due to this deck needing to finish fast but also needing a lot of cards in a combo means there will absolutely be games where you simply don’t draw into the necessary plays. Also, certain deck archtypes like Pirate or Taunt Warrior completely shut this deck down, either due to killing you before the quest can even be completed, or setting up an unkillable wall of taunts respectively. Mage gets another one/two turn kill combo. Basically there are two types of OTK mage being run at the moment, one hilariously named ‘Exodia’ (of Yu-Gi-Oh fame), which requires lining up 4 Sorcerer’s Apprentice and Archmage Antonidas which allows for infinite zero cost Fireballs; the other is a more straightforward. Just play spells to get the mana cost of Arcane Golem to near zero, then use Time Warp into Alexstrasza and hitting with the 16 damage from the Giants set up the ‘previous’ turn. It seems the only way to play around this is to kill before turn 6 or so (because they will have multiple Frost Novas/Blizzards/Ice Blocks), or to tech extremely hard against it with something like Armor Warrior. 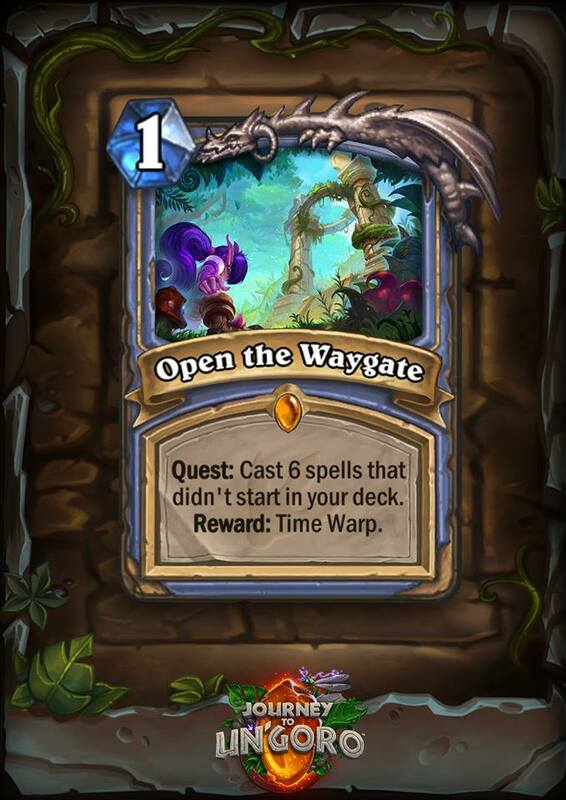 While frustrating to be on the other side, this is pretty much just Freeze Mage 2.0, so really nothing too new or difficult to play against as a whole. 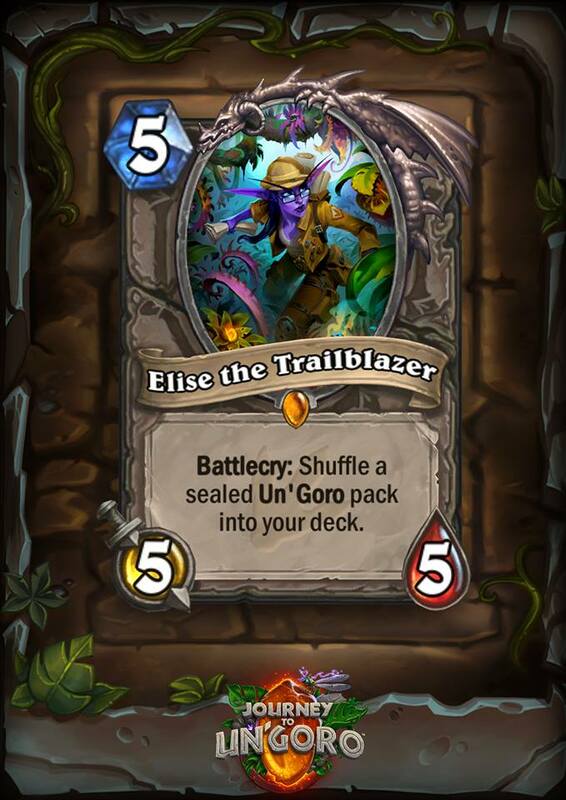 Several cards, like Elise the Trailblazer, Tar Creeper, and the Humongous Razorleaf are fantastic for slower control play and may even revive fatigue Warrior and/or Handlock Warlock. 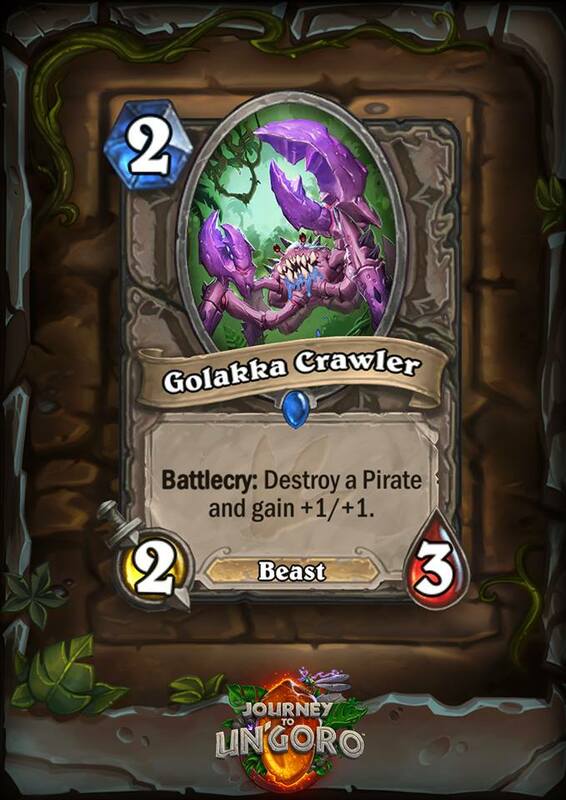 Funnily enough, an anti-pirate card was printed in Golakka Crab (albeit a bit too late to be seriously impactful) and Bittertide Hydra is a terrifying neutral card that’s even more powerful than Fel Reaver. 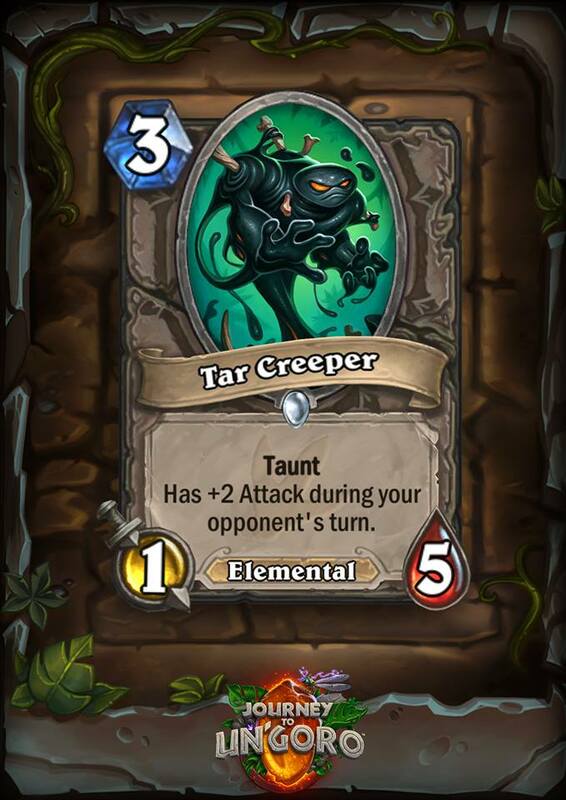 Expect that 5 mana 8/8 to tear it up in aggro decks as a finisher. Check out this post I made a while back to see the notable cards leaving standard play. 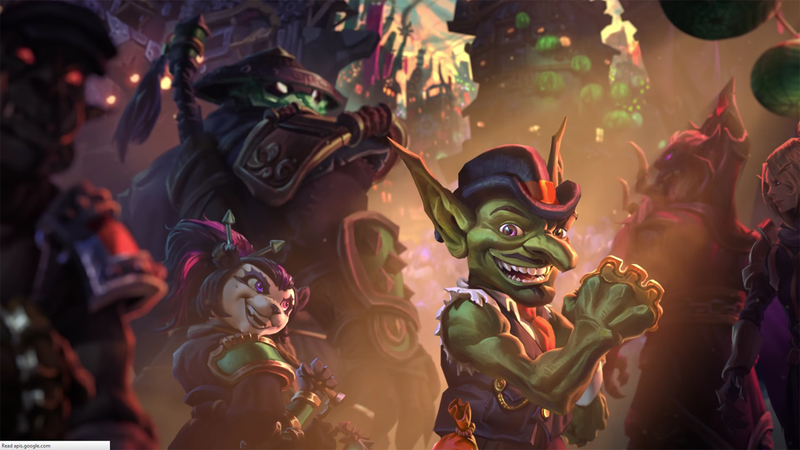 The major ones are: Reno Jackson – unique card decks will be on the decline if a thing at all; and Ragnaros/Slyvannas/Azure Drake – basic set cards which are rotating out due to their immense reliable power. 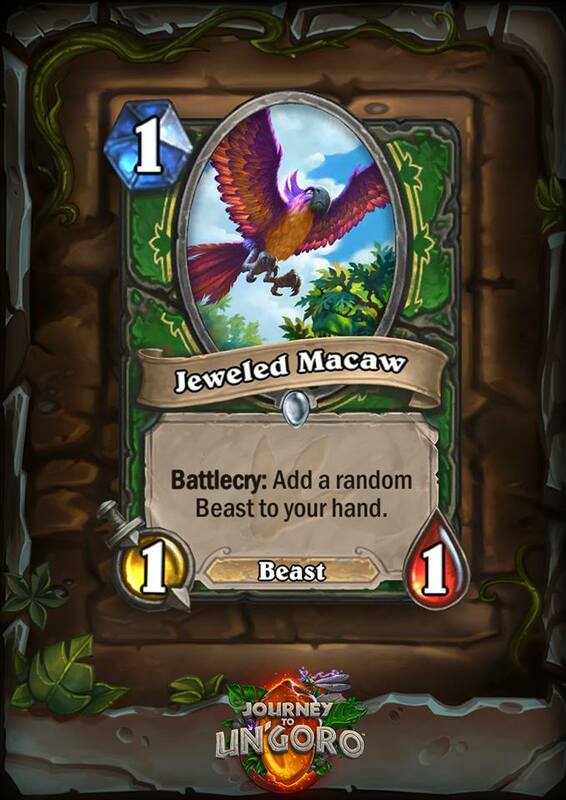 My biggest issue with Un’Goro is that Blizzard seems to have once again prioritized certain classes while leaving others with no love at all. It’s so infuriating that time and time again Shaman gets the pick of the litter while classes like Priest are kicked to the wayside. Also it’s maddening to see Mage get another extremely un-interactive from-hand one/two turn kill. 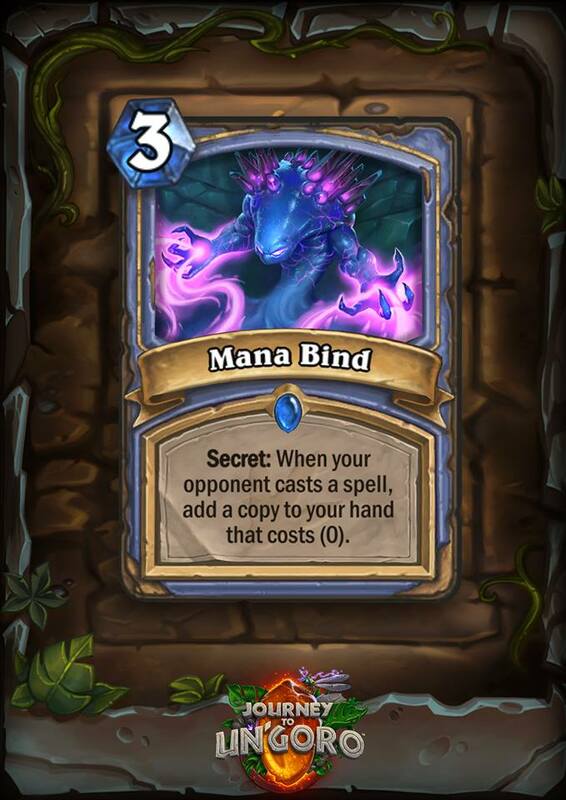 I thought that maybe with Ice Lance gone playing against Mage would actually be fair for once, but nope, same old combos, one new card to replace what was rotated. 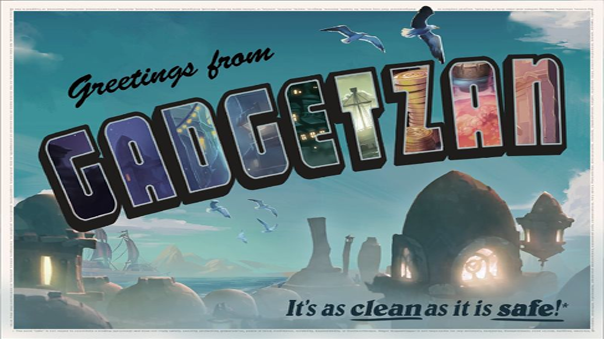 Rant aside the expansion is fantastic and shaping up to be one of my favorites. 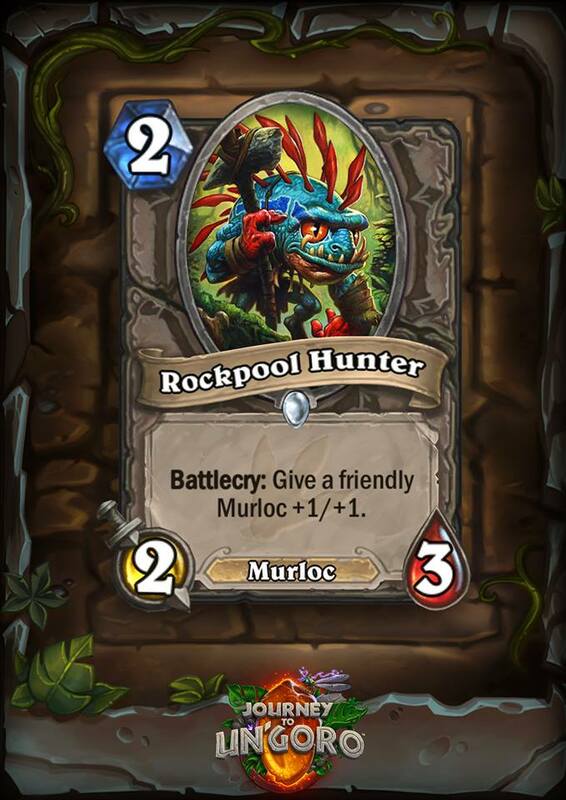 Bringing in new synergies with Elementals while helping an older one like Murlocs makes those types of games feel fresh and more dynamic. This is of course in addition to the new quests which are attempting to strike a difficult balance between deck planning and execution with a high reward for doing so. I 100% believe that even though some classes/quests won’t be “meta” you can still have a hell of a lot of fun playing with them. 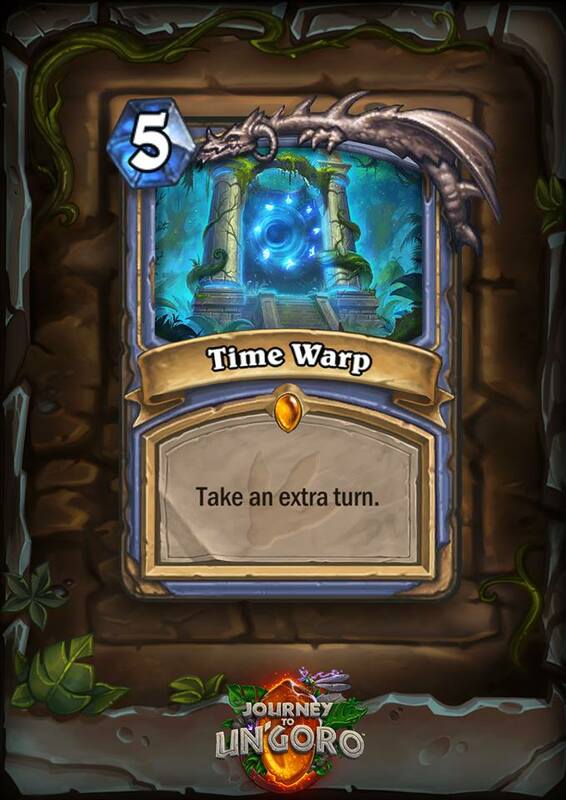 Similarly I also appreciate cards that push the limits of their design space with things like Time Warp granting an extra turn. 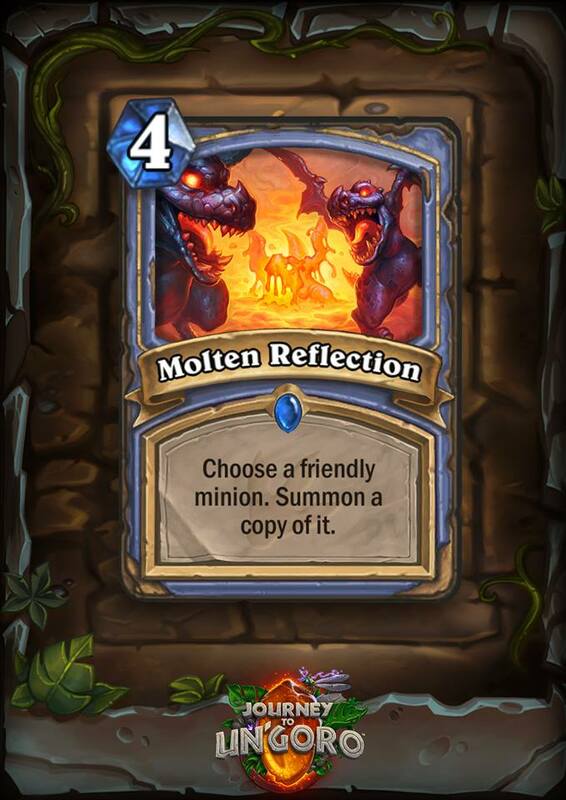 While still slighted by the distinct lack of power for certain classes, I think Team 5 has made a fantastic go at making the game more fun and strategically interesting instead of just releasing overtly overstated minions like the meme’d 4 mana 7/7. My guess is a safe one. 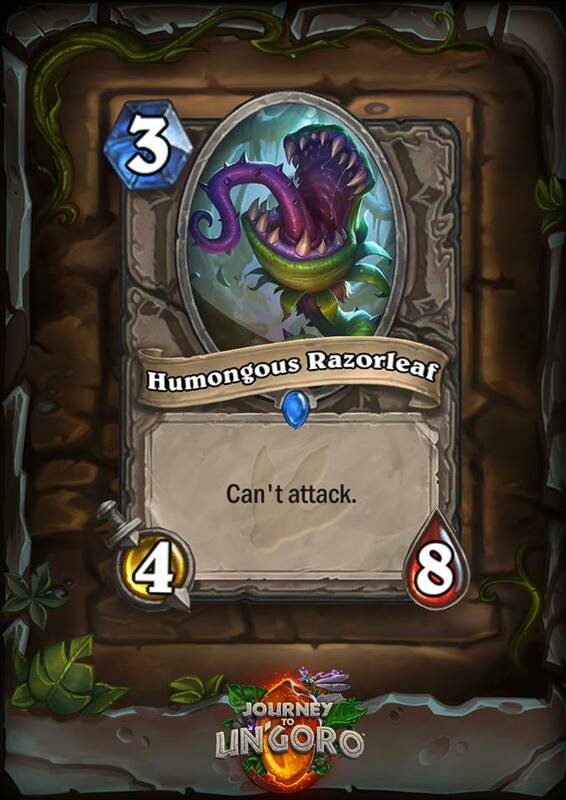 Most decks that didn’t use the vital Reno (which rotated out), will still be pretty powerful. So, Jade Shaman and Pirate Warrior will stick around. Whether or not they will be usurped is hard to say since the new set is so relatively unique. Generally speaking however I think as far as tournament level goes I don’t expect anything to change too drastically. 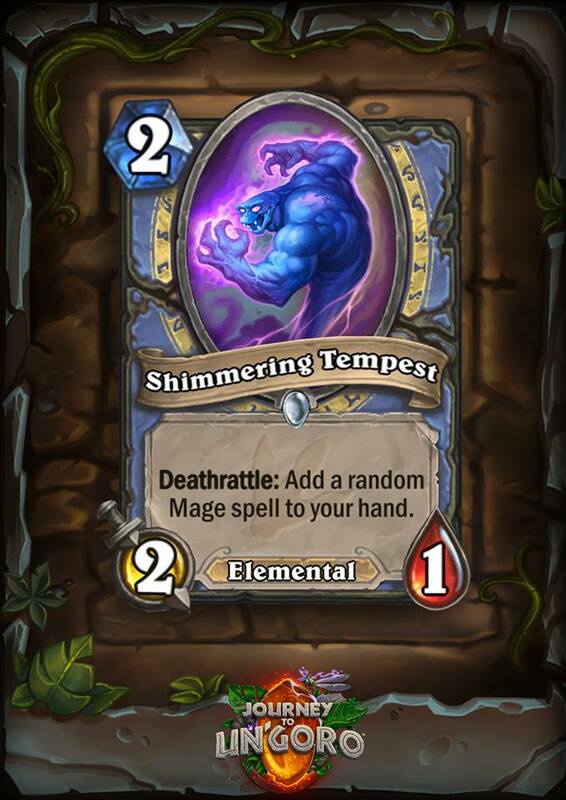 Most notably, due to it’s strategic similarity, Freeze Mage 2.0 will carry over pretty well. 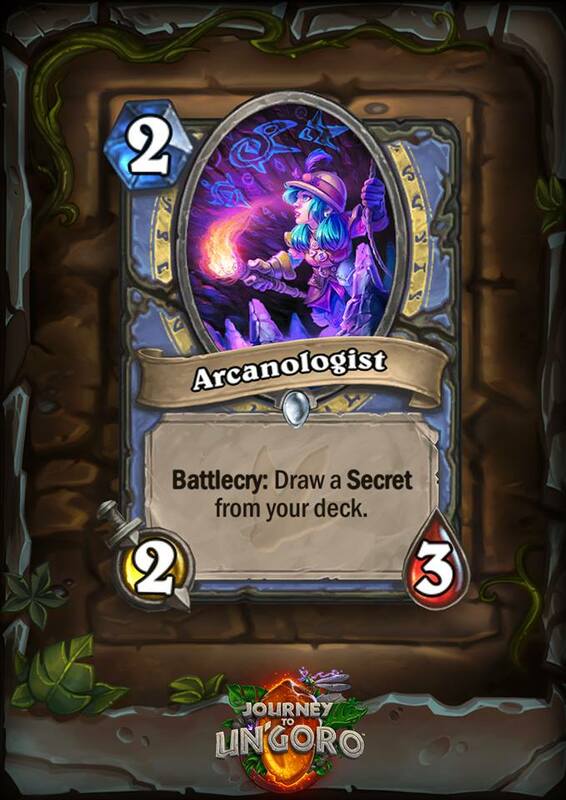 At the very least I know for a fact there will be more experimentation with new decks than there ever has been for the game (at least on ladder). So much power has been rotated out while at the same time a bunch of new and terrifying cards have been added in. 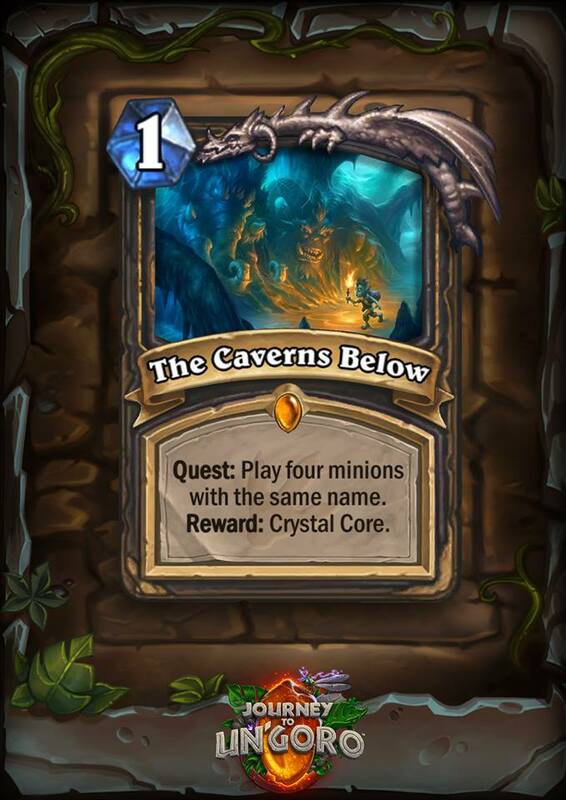 A prime example of this is the Cavern Below Quest for Rogue, as mentioned previously, everyone went from trashing it one day it to calling for its nerf the next. 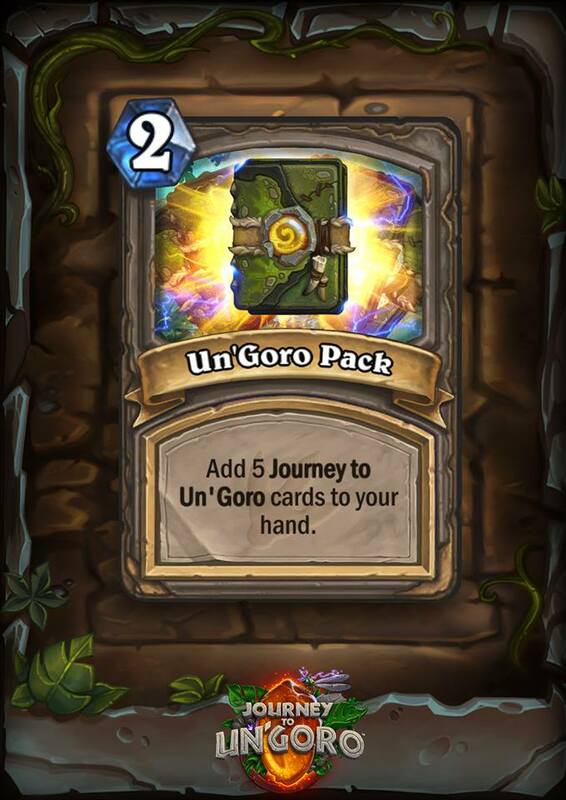 The Journey to Un’Goro expansion is one of the best ever released for Hearthstone. There’s loads new combos, decks, and mechanics to try out and since so many suffocatingly strong cards are leaving standard, you can feel confident in your ability to play them without getting annihilated. Sure, Shaman, Mage, and Warrior are probably still going to reign supreme in the next few months, but at the very least the meta landscape will be dramatically different and exceptionally more interesting because of it.